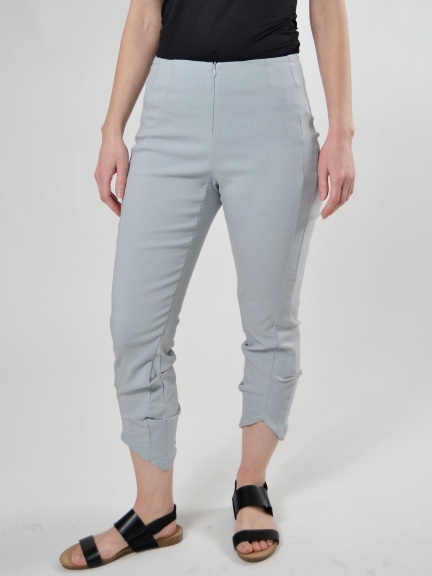 A pair of stretch twill trousers are softly structured in a slim fit and cropped length. Curved darts at the waist and self panel at the side seam creates a subtle tuxedo stripe. Cutaway hem and tucks at the calf create movement and style. Invisible front zipper allows easy dressing.